Ginger’s most recent interview is with Jessica Drummond, women’s health nutrition guru and founder of The Integrative Pelvic Health Institute. The interview focuses on women’s health nutrition practice, and in it Jessica and Ginger discuss vital considerations in women’s health nutrition practice for health care and wellness professionals. Ginger lauds the importance of nutritional counseling and education as an essential part of her programs in prenatal yoga and labor, delivery, and postpartum yoga and medical therapeutic yoga, and Jessica’s specialized programs for women’s health nutrition are filling a great need in allowing health care professionals to further their studies in integrated, holistic care for women. Learn about: Mapping Out a Vision of Success; Coaching your patients and clients toward a vision meditation of their life, and using the five senses to determine what their dream looks like for a healthy life. What led to your involvement in nutrition as a part of women’s health PT practice? Why is nutrition important in women’s health PT practice? What are the top 3 areas/conditions in women’s health where nutrition is perhaps most important or may have the biggest impact on outcomes? What would a typical session look like in nutritional counseling? Are there evidence-based outcome measures for use in nutritional screening? How do you determine if a patient is ready for behavior change counseling in nutrition? What recommendations would you give to a PT wanting to incorporate nutritional counseling into their women’s health practice? Any resources that are helpful? Jessica Drummond, MPT, CCN, CHC, the Founder and CEO of The Integrative Pelvic Health Institute, is passionate about caring for and empowering people who struggle with women’s and pelvic health conditions. She is equally passionate about educating and supporting clinicians in confidently and safely using integrative tools to treat chronic pelvic pain, bowel and bladder, and other women’s and pelvic health issues. 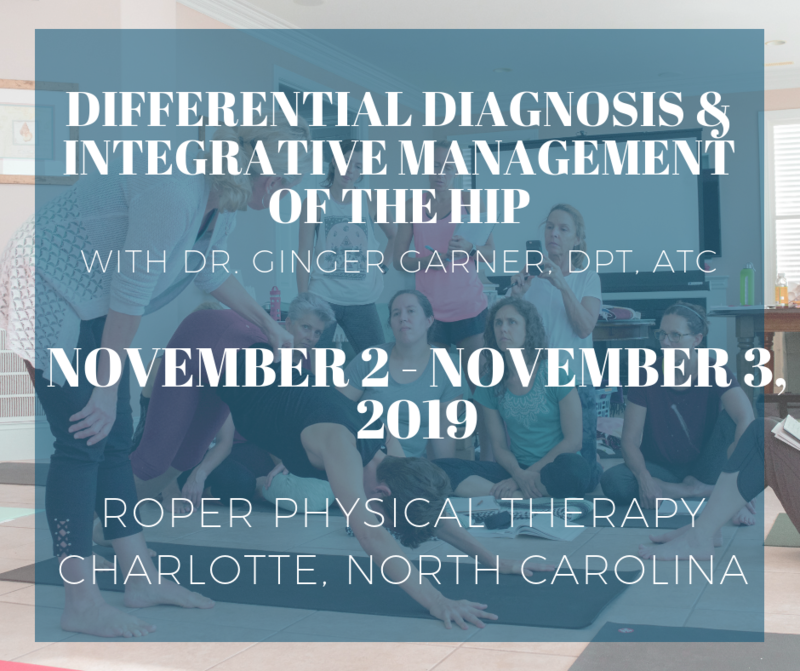 Having over a decade of experience as a women’s and pelvic physical therapist plus owning a private women’s health clinical nutrition and coaching practice gives her a unique perspective on the integrative, conservative options for women’s and pelvic health management. Jessica was educated at the University of Virginia, Emory University, The Institute of Integrative Nutrition, Duke Integrative Medicine, and is a doctoral candidate in clinical nutrition at Maryland University of Integrative Health. *Note: Please disregard the first few seconds of the recording, which includes a transition into the interview. Technology is great when it works, but in this case, the app threw a tantrum and refused to let us clip the first few seconds where the interview call gets connected. But here’s to “keeping personal connection real” in 2015! Thank you Ginger and Jessica for this information. I think it’s important for the Physical Therapists out there to recognize that the nutrition/hydration of their patients is one of the foremost importances of their clients care in regards to recovery from injury and surgery, as well as post-op care and women’s health (just to name a few). If we leave this out, we are missing a big part of their rehab. And if we don’t feel comfortable talking about it to our clients, then it would benefit us to learn more or to refer out. Ginger, since I began your Professional Yoga Therapy Training in 2009, I have been educating patients/clients about an anti-inflammatory diet. And through my own experience and continued education, and now through Jessica’s Integrative Pelvic Health Institute, I am learning more. I love sharing this information with clients because it really imparts the “whole person” in which I provide care. Thank you so much for taking the time to stop in and comment. The practice of physical therapy is evolving – of course not as fast as we would like – but I am hopeful for the future, that we are paving the way for the next generation of physical therapists to thrive in the healthcare system – a system that will recognize the importance of food in longevity and the critical role of nutrition in physical therapy. It was my pleasure to be on your podcast Ginger! Cheers to working together to improve integrative women’s health and healing. It’s an honor to be a part of your amazing work!